Recently an article was published by the State Press discussing the breakup of the College Republicans. This will serve as our official response to the State Press article. We previously wrote an extensive post about our history with the College Republicans. If you want the full version check here. When Judah Waxelbaum joined the CRs in the fall of 2017, the club had just gone through a major election and was under new leadership. The newly elected Secretary left to Washington and there was a vacancy in the executive board. Judah was to be anointed with fan fare designed by the leadership. The President however failed to follow the bylaws of the CRs, either through incompetence or corruption, and a candidate ran against Judah with overwhelming support. When Jennifer realized she didn’t have the votes to secure Judah’s win, she cancelled the election and began a long process fighting against members who would later go on to start College Republicans United. Judah was quickly made aware of the violations to the bylaws. He was a Freshman, literally his first meeting of the year, he was not qualified to vote or allowed to run. Any sensible person would take a step back, but Judah insisted he was entitled to it. 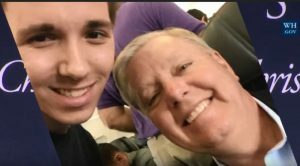 Maybe he grew up with a silver-spoon, maybe he was propped up throughout his time with the Teenage Republicans in High School and believed college would be similar, it’s not clear. Over the next few months Judah definitely grew to resent the founders of College Republicans United and made it his mission to sabotage our club which has gone on to eclipse the CRs. Fortunately, Kimberly Yee was the only speaker to back out from meeting with our club after speaking with Jennifer and Judah. Since our founding, our club has tried to avoid any and all associations with the CRs. We believe the CRs are a failed group by backing elements within the GOP that are hostile to the Trump agenda. Which leads us to our next point. 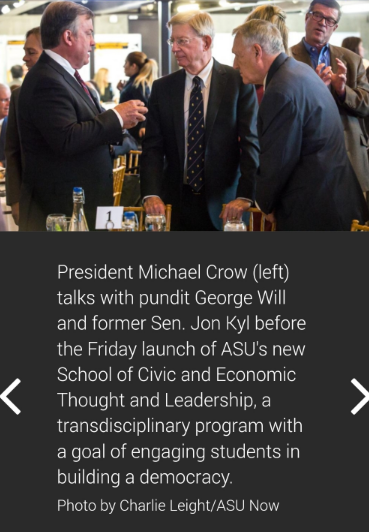 It’s interesting that Paul Carrese (Director of the School of Civic of Economic Thought and Leadership), speaks about republican division and polarization, yet his programs has supported people such as Bill Kristol and George Will. Who are very open about their Never-Trump views, and have demanded a challenger to combat President Trump’s influence within the GOP. Mr Carrese points out that this climate has made it difficult for never Trumpers such as Senator Jeff Flake (who is also hostile to Trump) to gain ground in this turbulent Era. Yet, Mr Carrese and Judah Waxelbaum have the gall to criticize CRU for not supporting their brand of what constitutes a “Republican”. It further proves CRU’s point, that the CRs are hypocrites who seem to be disregarding their own advice. After all, it’s interesting to see the director of the SCETL chastise CRU for not supporting and following so called “Traditional Conservatives” who by and large tend to fall into the Neocon camp of so called conservative thought. 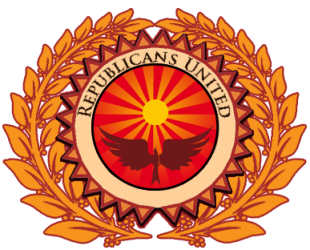 Judah talks about division within the Republican party, but his new supposed “Club adviser”, backs him in his hit piece article in the State Press. Both have a history of backing division and strife within the GOP. CRs association with the SCETL should raise warning flags about their dedication to the GOP, and their ‘supposed’ support for President Trump. After all it seems his own backers have made clear where their stances lie at, which doesn’t seem to align with proven support for the President or even the GOP. The State Press wants to portray a party in disarray with crazy Trump supporters on one side, and temperate sane folks on the other. To affirm this take, they quoted Carrese who contrasted the wild eye crazies who think short term with those who understand compromise.